This is the eighth in our series ‘Australia in Space’ leading up to ASPI’s Building Australia’s Strategy for Space  conference in June. Australia depends on satellite data for everything from defence surveillance and weather forecasting to restocking supermarket shelves and synchronising mobile phone conversations. But for all of these things, it mostly depends on satellites designed, built and launched by others. Yes, that has begun to change. Australia funded one of the satellites in the Wideband Global SATCOM (WGS), a system that gives the Australian Defence Force enhanced interoperability with the US and other allies. 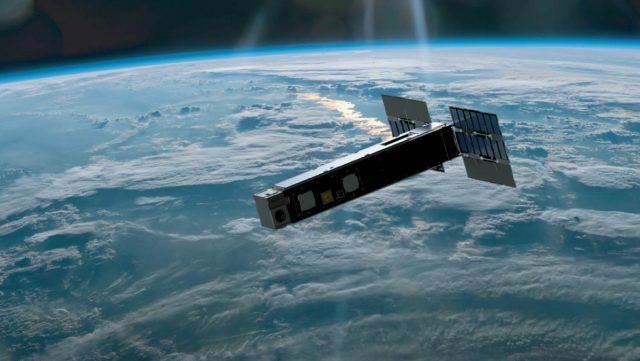 The ADF also benefits from access to commercial satellites such as the Optus C1 and, potentially, from the work on cubesats undertaken by Australian universities. But these developments haven’t altered the bigger picture, which is that Australia continues to be largely a free rider in space technology. If the ADF and much of Australia’s industry, commerce and agriculture were suddenly deprived of the satellite access provided by governments and companies in other nations, principally the US, there would be chaos. It may be objected that this is unlikely to happen, although in an increasingly uncertain strategic environment that cannot be said quite as confidently as might have been the case earlier in the decade. In a conflict between major powers in the western Pacific, for example, competition for access to satellites would be intense. Whether or not such a clash ever happens, the fundamental point is clear: Australia is vulnerable, militarily and economically, while we lack sovereign capability in space technology. That’s the most important reason why we should develop a national space industry with the capacity not only to design satellites for our needs but to build and launch them as well. Another reason, flowing from the first, is that by acquiring these capabilities Australia will be able to take a larger stake in the global commercial space industry, which is growing by 10% annually. At present the global industry is worth $420 billion, of which Australia’s share is only 0.8%. Australia’s nascent space sector earns revenues of up to $4 billion a year and employs about 11,000 people. The Space Industry Association of Australia estimates that this could double within five years if there’s strategic leadership at the national level, including public investment measures. This isn’t only about taking advantage of immediate commercial opportunities. Even more importantly, an expanded space industry would enable Australia to transform its broader manufacturing sector in line with the so-called fourth industrial revolution, or Industry 4.0. This is crucial for both military and commercial applications of space technologies. Space-based systems are essential for Industry 4.0 capabilities that modern smart factories, which are integrated cyber–physical systems, depend on: big data, cloud computing, artificial intelligence and the internet of things. The era of Industry 4.0 coincides with what Malcolm Davis, in his ASPI report Australia’s future in space,  terms Space 2.0, the emergence of low-cost technologies such as the Biarri and Buccaneer cubesats developed by the UNSW/ADFA. This is a time of opportunity for a country such as Australia; what is lacking is action at the national level to ensure that the opportunities are seized. That’s unlikely to happen while Australia remains one of only two OECD nations to lack a national space agency. The Turnbull government and the Labor opposition have both announced their support for the creation of such an agency, but to date the government’s announcement hasn’t been followed by specific details of when the agency would be constituted and what it would do. Those details, the government insists, should wait until after the conclusion of a comprehensive review of Australia’s space industry capabilities. The review was supposed to be released in March this year, but at the time of writing there’s no indication of when it will actually appear. The review, which is being conducted by an expert reference group chaired by the former CSIRO chief, Megan Clark, will no doubt do its work well. But enough is already known about what needs to happen for the space industry to expand. What is missing is the government’s willingness to act. Labor has already outlined a plan for an Australian Space Science and Industry Agency to drive investment and coordinate action by industry, universities, research institutes and other government agencies. The agency would be advised by a Space Industry Innovation Council, and a Space Industry Supplier Advocate would be appointed to promote opportunities for Australian firms. A Labor government would invest up to $35 million in an Australian Space Industry Program, with co-investment to be sought from industry and university consortiums. The program will consist of four Australian Research Council (ARC) space industry research hubs—to advance capabilities in space technologies—and two ARC industry training centres that would offer 25 industry-based PhDs. All this could be done now, and we know that similar measures have enhanced innovation and productivity in other industries. Australia only needs to find the will to make it happen. Senator Kim Carr is the Shadow Minister for Innovation, Industry, Science and Research. Image courtesy Department of Defence.